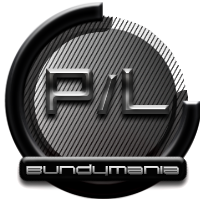 Discussion in 'Watercooling' started by bundymania, 29 Jan 2012.
the watercooling pump Laing DDC 1T is a well known and popular candidate on the watercooling-market since many years. I think this product could have been established, because of its great performance and its compact dimensions. The pump offers flow-rates, which guarantee enough power reserves for almost any kind of water-cooling-solutions in your PC. I used in my the test the Laing DDC-1T Plus, which is identical in construction to the Koolance PMP-400, in combination with the favorable Alphacool POM Laing Top. 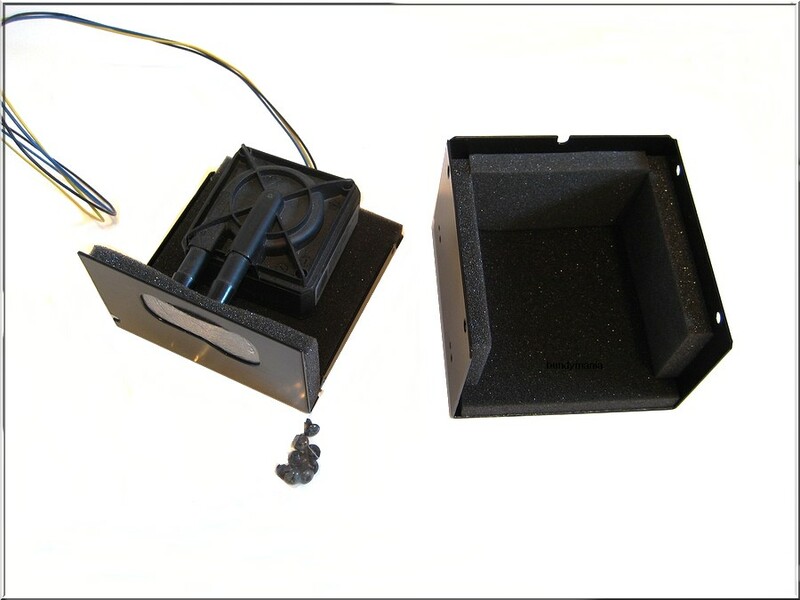 The box has nice black paintwork and is filled with black foam material, in order to reduce the noise level of the pump. It has apertures on the top and foreside, which are big enough to connect fittings and tubes up to a size auf 19/13mm (you have to cut out the holes by yourself, for your preferred size). 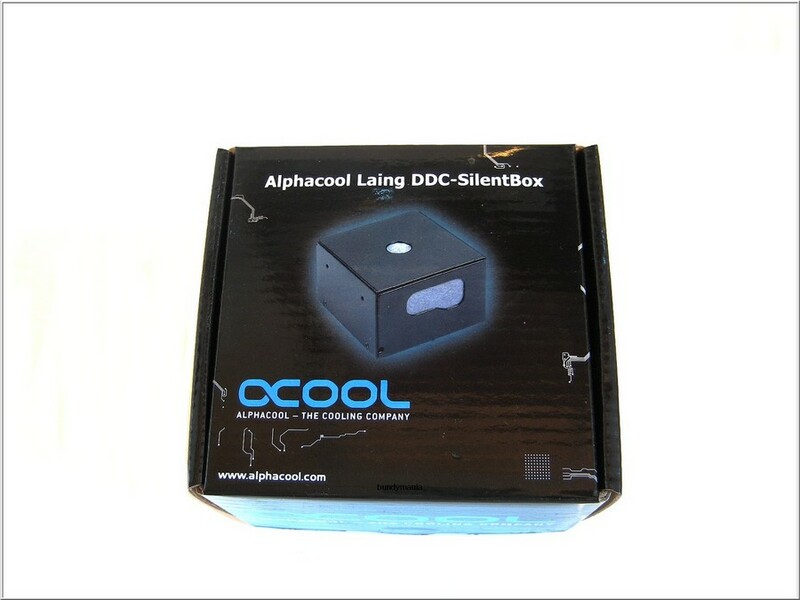 The Alphacool Silentbox comes in a decent black retail-box and is well wrapped in bubble-foil. The scope of supply contains 8 black assembly screws. In order to decouple the box itself, it has different threads at the bottom and on the sides, so you can choose between great varieties of assembly options for buffers. An additional idea is to install a “Phobya Noise Destructor” under the box. On the backside you will a find a small hole, which should be used for the electric-cable of the pump. The Alphacool Silentbox has a nice decent design and the processing quality is in a good relation to its price of 15,00€. Here and there, you might find some very small errors in the paintwork, but they are not disturbing the good appearance of this product. I think the ambient temperature is another interesting point concerning this Silentbox. 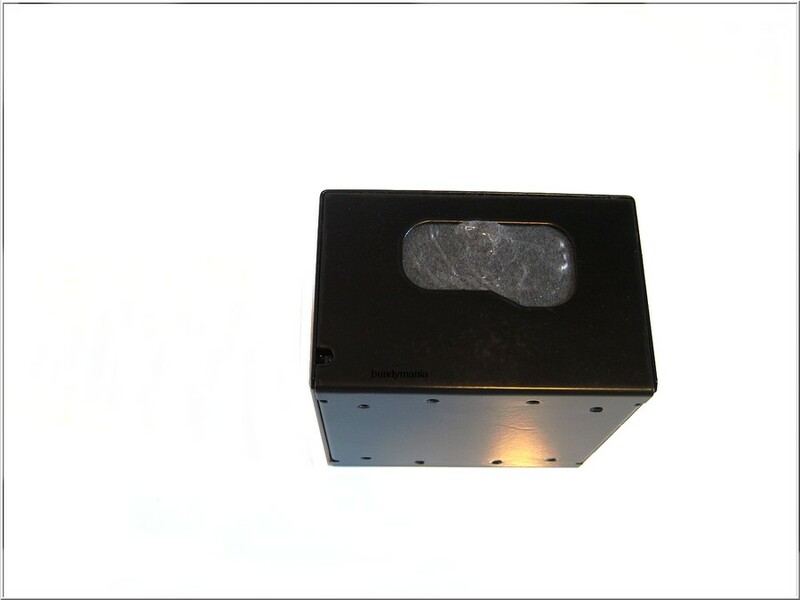 I have installed a sensor in the Silentbox in order to give you a small impression of the inside temperatures. Gauging temperatures after one hour results in a plus auf three degrees celsius over room temperature (I think a good value with no dangers for longer usage). I used for the On-road test the Laing DDC 1T Plus including Alphacool Top in the Silentbox and started to test the different noise level with my ears. My first thought was a testing of the noise level by an Android Smartphone App, but I think those tool are not precise enough and I did not have as well enough money to buy an expensive checking device. Therefore I did a small video-clip, which shows the operating of the whole combination. 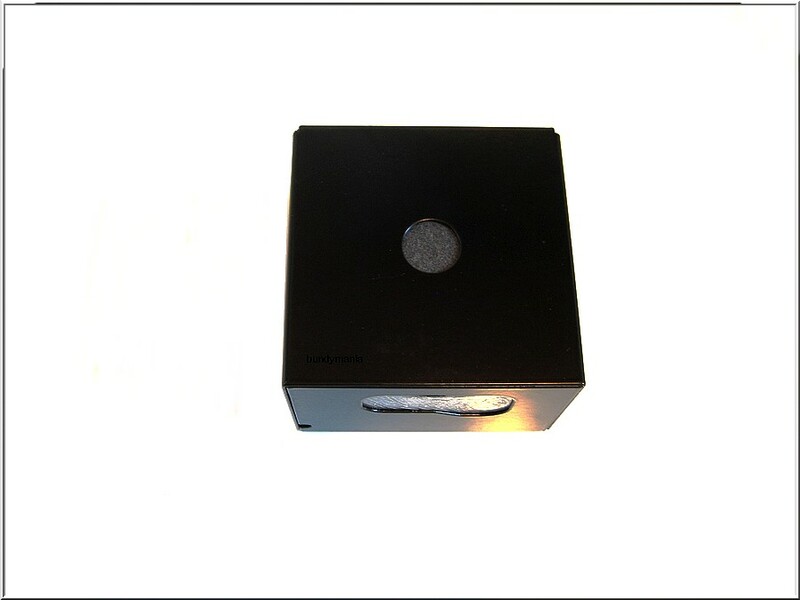 Because of the Silentbox, the noise level is a bit lower and less high-frequent, which sounds much more comfortable. I am sorry, but I think the microphone of my camera is not good enough the express the real sounding of the pump. The Alphacool Silentbox gets the Price-Performance Award. 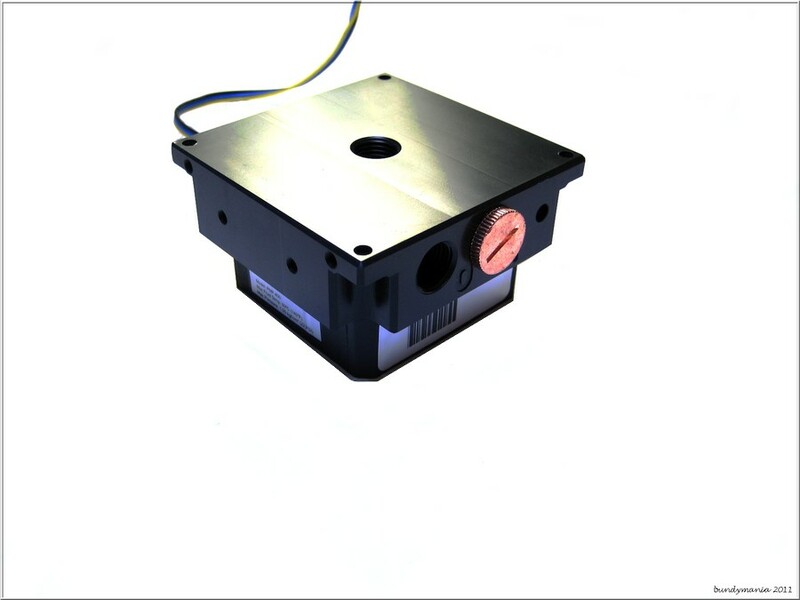 Taking the used materials and the material-thickness into account, you should not expect wonders like total silence, especially if you use a pump-top (like I did), which is not the most quite candidate. Nevertheless you will hear a difference in using the Silentbox or not. In relation to its price, the reduced noise level is on an adequate level. 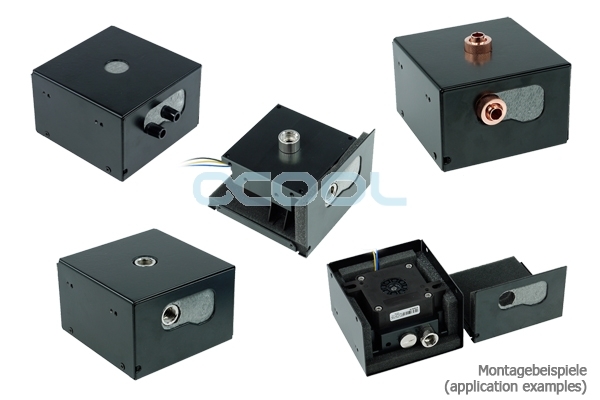 Additionally the box offers a great variety of assembly and decoupling options. Thanks to the manufacturer Alphacool for supporting my short review !